There’s always that touch of excitement at home when we’re packing for another adventure, and this trip was definitely no different. But if there’s one thing that we’ve learnt over the years when travelling, it’s that we can’t pack without having developed a comprehensive packing checklist to make sure what’s supposed to be packed actually gets packed! 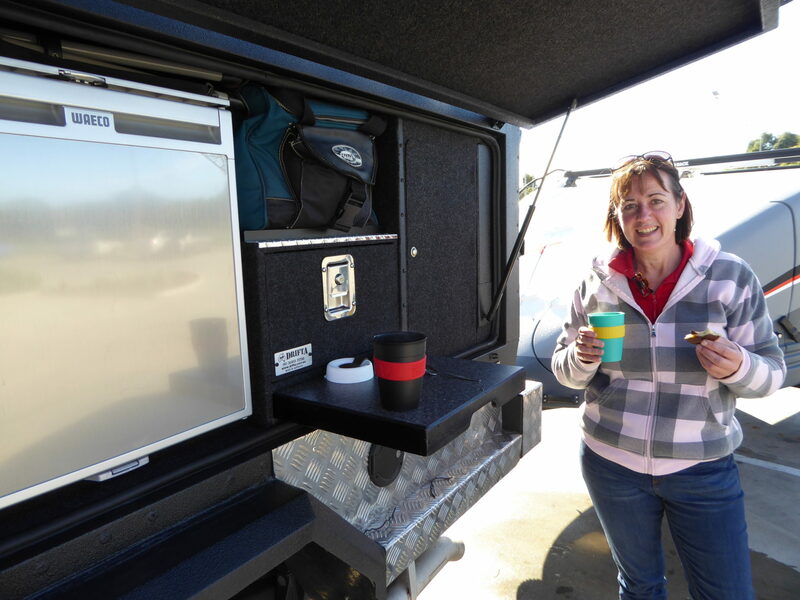 Our preparation for this trip was vastly different to others as we were making significant modifications to our vehicle’s canopy which we found took a lot of time. After having travelled with its current configuration for a couple of years, we found that it just wasn’t working for us, and some major mods were needed. So with the canopy stripped completely back and sandblasted, we pretty well started again. A new 12v system was installed to look after the electrics, we designed and had a new storage solution fitted, and the canopy was re-sprayed. To complete the makeover, we fitted a set of LT315x75R16 Cooper STT Pros all round on our vehicle and camper, and we’re simply thrilled with the result! So after what was months of preparation and trip planning, we’ve finally finished packing and completed the final checks. Today was it…departure day has finally arrived! 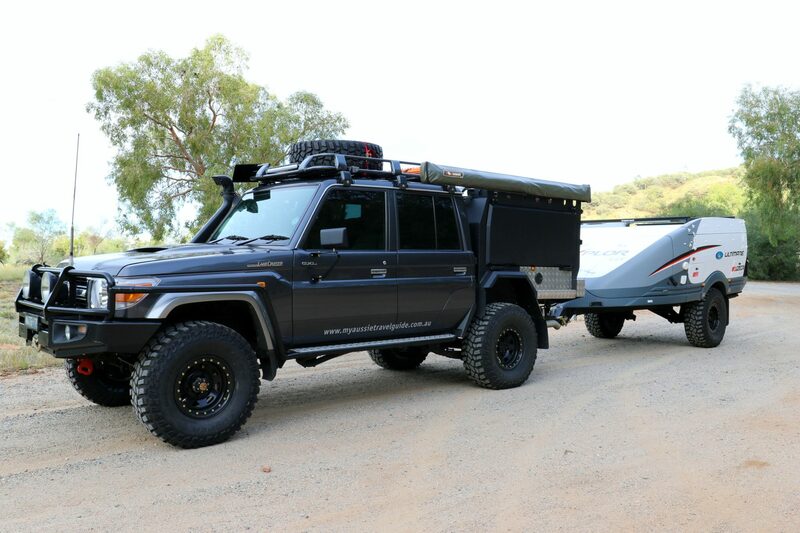 Our plan for this trip is basically to make our way to Alice Springs to join one of the 5 vehicles in our travelling party for the next 7 weeks. We’ll eventually be catching up with the others who were ahead of us through the East MacDonnell Ranges. Once we’ve met up with them, we aim to pretty well travel on the dirt, all the way to Cape York. The run up the Stuart Highway into a warm Alice Springs was smooth sailing all the way. So after a quick re-fuel and a stop for some supplies, we turned east to explore the attractions through the East MacDonnell Ranges. 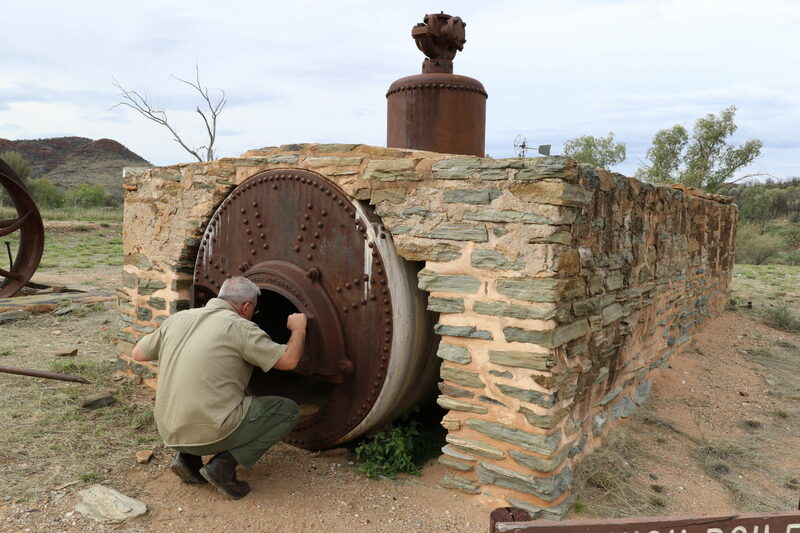 With all the times we’d come to Alice Springs over the years, the East MacDonnells was one area we’d never explored, so we welcomed the opportunity to take a look. Our first stops at Emily and Jessie Gaps provided a good introduction to the area. 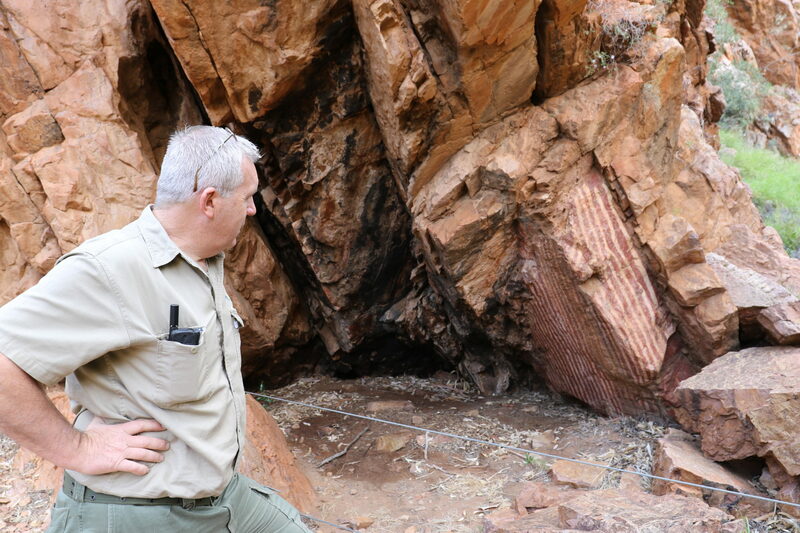 The aboriginal art here was something completely different to what we’d previously experienced in the Kimberley, and the interpretive signs provided detailed explanations of the art contents. With daytime temperatures beginning to warm up, Emily and Jessie Gaps acted as a wind tunnel that provided a cool breeze. Pretty welcoming! Travelling further east, the rock formation at Corroboree Rock came completely unexpected, and the walk around the rock provided fantastic 360° views of this unique attraction. When you drive this route through the East MacDonnells, it’s hard not to be impressed with the sensational red escarpment of the ranges against the green spinifex that went for miles. What a magnificent site it was! Choosing to next stop at Trephina Gorge, the magnificent river red gums here lined the sandy creek bed which provided welcomed shade during the heat of the day. The gorge with its high quartzite cliffs also provided sensational photo opportunities and was an easy 20 minute walk from the car park. Just make sure you pack some water, a hat and wear good walking shoes. Later in the day when travelling further east, we planned to spend much of the afternoon at the ruins at Arltunga. 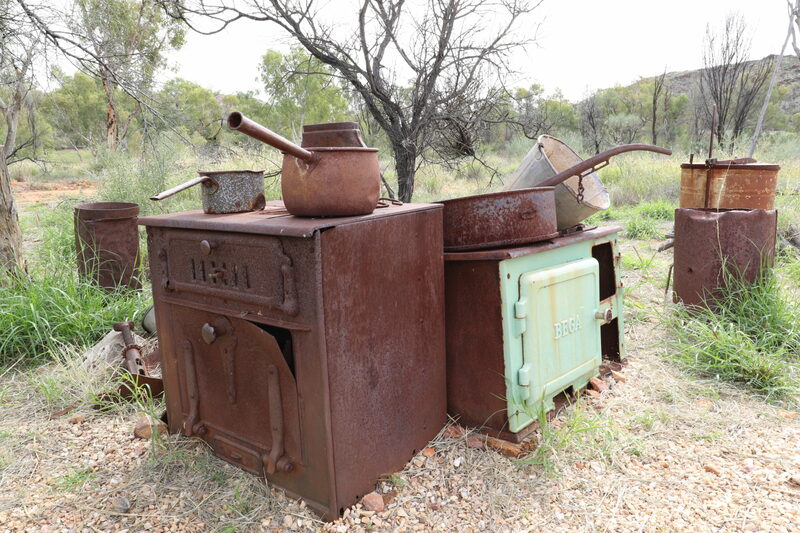 Known as the site of central Australia’s first town, gold was found around here in 1887. But the town took several years to develop, especially when its isolation and lack of available water made conditions difficult. When passing this way, make sure to stop in at the visitors centre before heading out to explore all the Arltunga ruins. The centre contains information boards and all sorts of old artefacts about life back then, and the short video that’s available further brings the story together and is well worth taking the time to watch. After spending time at the centre, we headed off to explore the ruins. It’s hard to believe that more than 110 years ago, this area would have been a bustling community as the miners dug for gold ore which was processed close by. Today you can take self-guided walks to see various ruins including the old police station, post office, other government offices, and the blacksmith shop. It’s difficult to imagine how hard conditions would have been back then when supplies were shipped by camel from Oodnadatta, and mail took two weeks. After a few hours exploring the ruins, we made our way back to the visitor centre to meet up with the rest of our travelling party, as the next leg of our trip would see us travelling the infamous Binns Track. So it’s time to get cracking!